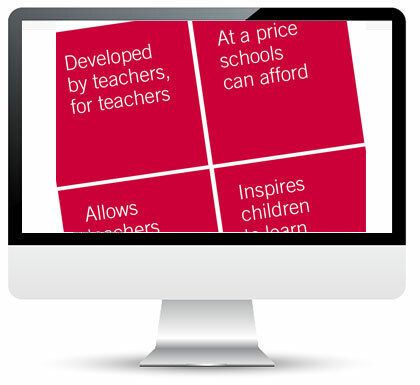 Prospectus is designed to allow teachers the time to teach by providing all of the long, medium and short term planning for the majority of the foundation subjects within the national curriculum. Each theme is carefully matched to individual subject requirements to ensure a broad and balanced coverage of the national curriculum. Meaningful links are made to core subjects alongside opportunities for schools to explore enrichment activities personalised to their pupils. Prospectus offers a total of 31 themes for schools to choose from; five themes for each of the six year groups across KS1 and KS2 plus an additional whole school theme which is topical for each academic year. 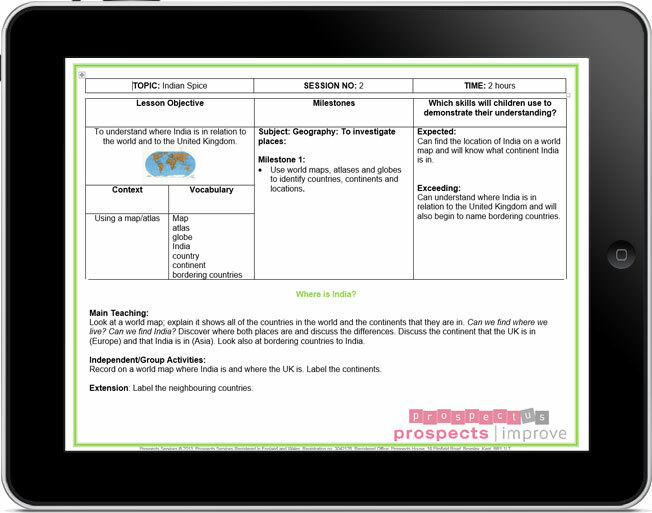 There is sufficient planning within each theme to cover a term of learning. 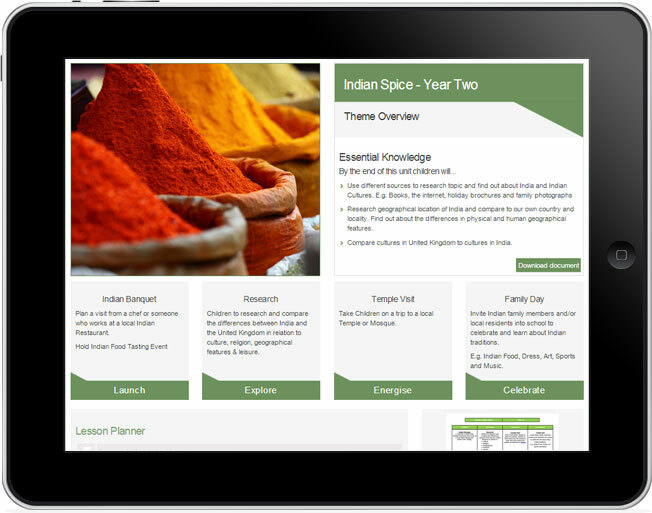 However, each theme is designed to be flexible in length and would also meet the needs of schools that plan their curriculum themes on a half-termly basis. Each year an additional ‘whole-school theme’ provides opportunities for all year groups to investigate and explore the same theme from different perspectives. This additional theme will usually be linked to a topical national or global event. For the 2017-2018 academic year, the whole school additional theme was based around ‘The Great War’ – commemorating the 100th anniversary of the start of World War One. Each phase of the school focused on a different aspect of the war based around age-appropriate skills and knowledge. In the school year 2015-2016, the whole school theme will explore ‘The Olympics’ linking with the summer Olympic games in Rio de Janerio, Brazil. The 2016-2017 whole-school theme is Shakespeare, honouring the 400th anniversary of his death. Each year group will focus on different works of the Bard, suitable for their age range and will be guided through the relevant story and how it links to their lives today. The 2017-2018 whole-school theme is Europe - 'A Journey through Europe' - during this theme children will learn about all the different countries that make up the continent of Europe. They will have the opportunities to explore a range of European languages and research key European capitals, landmarks, art and architecture of some major cities. Through the story of 'The Mystery of the Golden Stars' children will find out key facts and information about the European Union: how it was formed; its member countries; how it makes decisions and the role that it plays in European life and politics as a whole. The Year 2018 has been named 'The Year of the Women' with it being 100 years since women won the right to vote. Therefore we thought it very fitting that 2018-2019 whole-school theme be entitled 'Wonder Women'. During this theme, children will learn about the different influential and successful women throughout history in science, politics, sport and literature. The children will use a range of research techniques to explore a range of Hidden Figures who have played their part in Breaking Barriers in gender equality throughout history and have helped to fight for equal rights for both men and women in all areas of society. The children will present much of their research findings in a Class Book in the style of the work of Rachel Ignotovsky in her books 'Women in Science' and 'Women in Sport'. Although the themes are largely humanities based to meet the requirements of the new national curriculum, all of these themes are fully cross-curricular in content, providing a wide range of opportunities for: art, design, music, technology and drama, whilst extending and applying age appropriate English, mathematics, science and computing skills throughout. 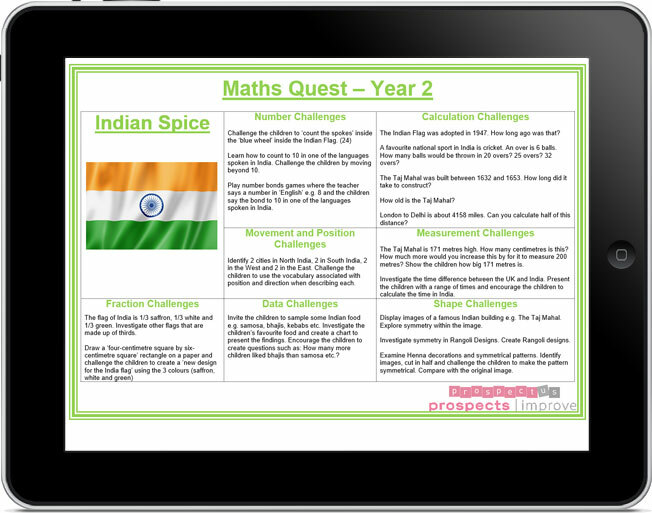 Within each theme, additional English and mathematics ‘Quests’ provide meaningful links and a context for learning whilst still allowing these subjects to be taught discretely. All of the themes in Prospectus provide a wealth of opportunities for children to use and apply the core skills which they have acquired through meaningful and purposeful activities and investigations. 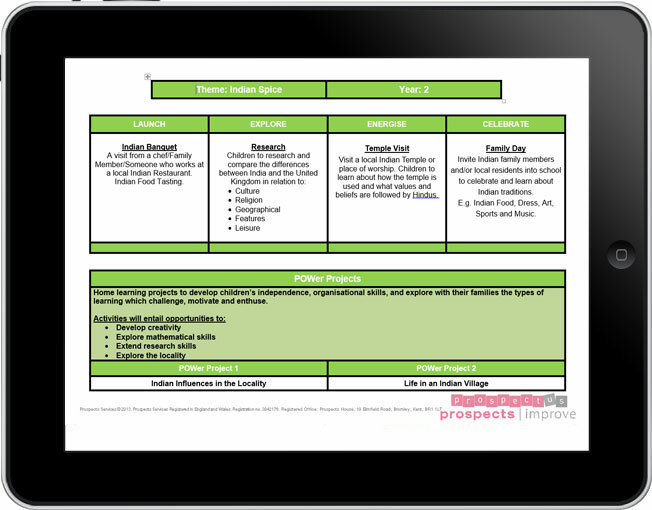 Prospectus has been developed as a web based curriculum which will be accessible by using a unique username and password. Each school will be able to access all of the resources through their account, and receive instant updates and additional resources. 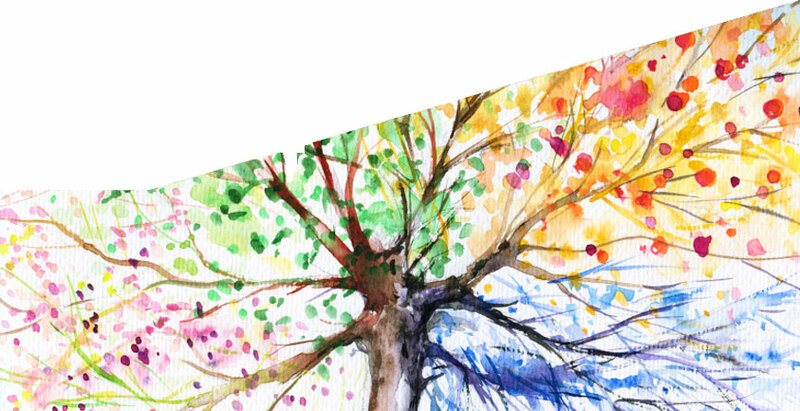 The web-based nature of this curriculum ensures that it is constantly ‘up to date’ and allows themes to evolve and develop in line with any future modification to the curriculum.